The Day Program provides classes, training, experiences and vocational opportunities to improve or maintain skills that enhance or improve the quality of life for all clients. Integrates basic math skills, such as number writing, identification, sequencing and understanding values with practical life skills, such as, the identification of money, banking and calculator use. Also, budget planning, which includes withdrawals from the client's personal accounts for shopping and outings, are addressed in this class. In this classroom all aspects of communication are addressed, verbal, written, body language and signing. Proper use of various communication aides, such as the telephone, communication books, journals and computers are an integral part of this class. There are a number of aspects to the personal living skills program. The three main sections are personal care, household skills and environmental interaction. The personal care component includes building or maintaining skills related to personal hygiene, and proper care of clothes and personal items. In the house hold skills area clients will use skills related to cooking, cleaning, and caring for one’s living area. The last component, environmental interaction, is a very broad area that includes using safety skills, using different types of transportation and using community facilities, such as the library. 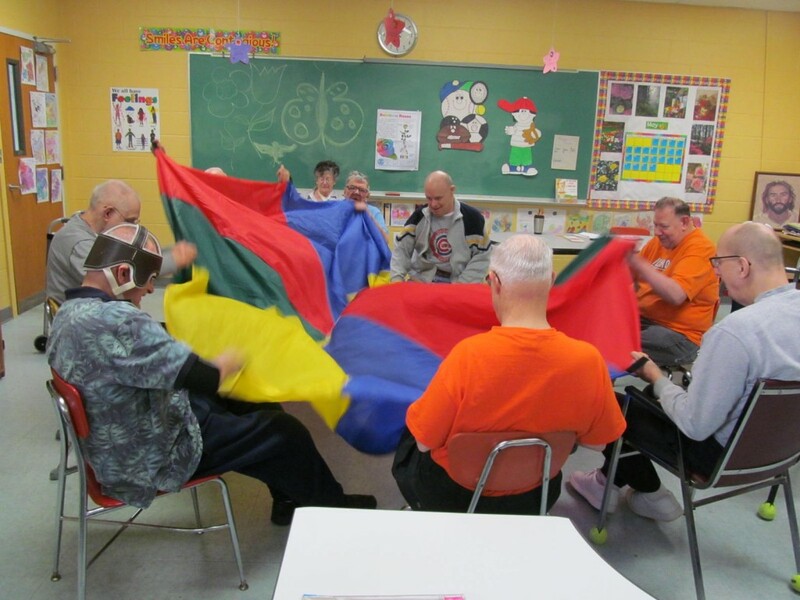 This class uses education and skill building to address all aspects of physical activity, fitness and mobility. Through games and exercises the clients learn about the importance of weight control and remaining physically active. This vocational class explores a variety of vocational skills, such as, sorting, folding, filing and stuffing. Skills are taught and maintained through contracted work or pre-established exercises that can prepare the client for permanent employment. This area is a self-contained setting designed to address the needs of the clients who are showing some signs of aging, are nearing retirement age, and have had to make some modifications in life due to aging. This area supports increased interaction but at a pace more conducive to the individual client’s circumstances. To assist the client to maintain or learn new skills. To provide opportunities to interact with others who have the same issues and challenges related to aging. To assist in developing coping skills and strategies in dealing with all aspects of aging. To foster an atmosphere of peer support. This area is a combination of self-contained and interactive learning modules that addresses the needs of the clients who have expressed a desire to semi-retire. To provide a comfortable, environment that supports age related changes for each individual, both physically and mentally. To provide a variety of age appropriate leisure experiences that assists the client in making positive life choices. To assist the client to remain active and maintain existing skills. Helen McAllister House programming provides an environment that supports clients experiencing symptoms of Dementia or Alzheimer’s disease. 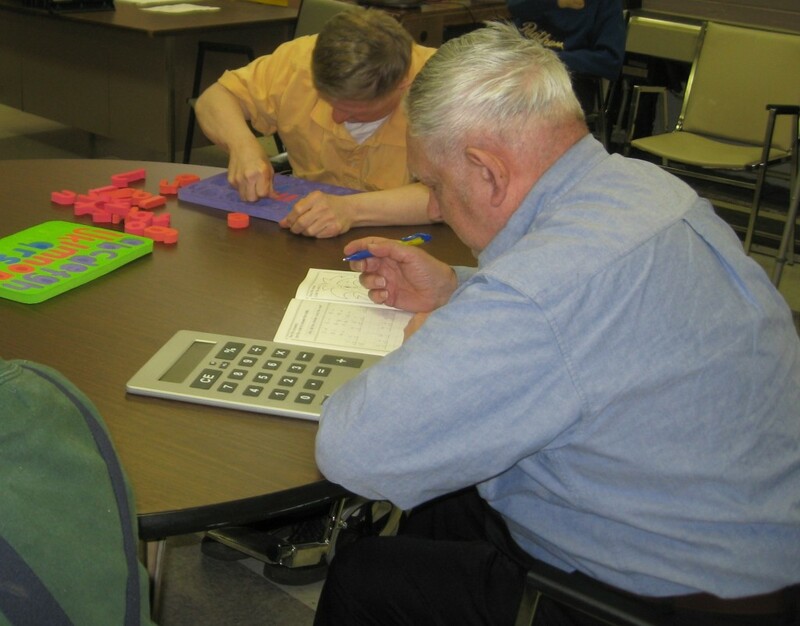 Programs are designed to provide support and safety as cognitive impairment and changes in functional ability continue to decrease the client's ability to participate in his daily activities. The classes are balanced to compensate for the loss of skills and yet attempt to maintain development, while being flexible enough to meet the rapidly changing needs of the residents. Watch our video to see why GSM is the best choice for your loved one.